Today’s guest is Barry Choi, a personal finance expert who writes on his his own website, Moneywehave. Barry learned the hard way that you can’t blindly follow advice from “financial professionals”, because some of them are just out to “make a buck”; they are not always acting in your best interests. Tip #1 – Have too many credit cards. Barry is a travel expert, so he travels a lot, so he has a credit card just for foreign travel so he gets a better deal on foreign exchange. He generally uses two different cards, a Visa and a Mastercard, so he’s protected if there’s a service outage at his credit card company. Beyond that, there is no need to carry multiple credit cards. In our experience, the more credit card you have, the higher the chances that you will find yourself with too much credit card debt. A lot of people who run into debt issues, they just don’t get what’s going on. They think debt is a way to enjoy life. Or that’s what they’ve been told. So, they don’t mind charging everything to their credit cards and then paying that low monthly interest. But at that low monthly rate you’re still paying 20 percent plus interest. If you’re running, let’s just say for argument sakes, ten grand worth of debt, you could be paying that off for 50 years if you’re just making the minimum payment, if not longer. Paying for 50 years is never a wise financial strategy. Tip #3 – Keeping up with the Joneses Every personal financial book tells you not to worry about the car your friend is driving, but Barry still sees this as the most common financial mistake. Live your own life; don’t try to keep up with anyone. Tip #4 – Spending money (you don’t have) on presents. It’s great to buy presents for your friends and family, but by spending a lot they may also feel obligated to spend a lot as well, and that’s not good for anyone. Concentrate on spending time with each other, and save money. Tip #5 – Buying Too Much House. We all want a nice house, but only buy what you can afford. It’s not just the mortgage, but all of the other costs that you must factor in to your budget. If you want to raise a family, you will have costs over and above your mortgage payments. A proper budget is very important. Doug Hoyes: Welcome to Debt Free in 30. The show where every week we talk to industry experts about debt, money and personal finance and today that is exactly what we’re going to do. I’ve got a person who is very versed in all three of those areas. So, let’s get started. Who are you? Where do you work and what do you do? Doug Hoyes: Great Barry and thanks for being with me today. Moneywehave.com is a great resource for everyone. I’m going to put a note in the show notes, a link in the show notes so people can find that if they haven’t written down that address. Why don’t you give us a starting point of how you got into this? How did you become a personal finance blogger? What got you into this? Barry Choi: Well, I think money was always an issue for me at a young age, in a good way. My parents taught me to save. So, as soon as I got a job I started an RRSP. But what a lot of people don’t realize is when you walk into a bank, they’re not really giving you practical advice. So, they said invest in mutual funds. So, that’s exactly what I did. I had no idea how it would help me personally in a time frame or my long term goals. So, eventually I switched to a financial advisor who was really slick at selling things. I assumed that he would take care of me. So, I started to read about money a little bit more. And one day on a personal finance website forum this random guy messaged me and said, hey you might want to check out your fees. What the guy is telling you is not true. You’re definitely being charged more. So, when I investigated further I found out that, yeah, my advisor was totally lying to me about fees. It was way higher than he told me and more importantly there were a lot of back end fees. So, if I needed that money I would be dinged pretty hard. Eventually I made the decision to fire him and I had enough evidence to get my fees back. And from there on it was all about learning about money for myself because no one is going to care more about money than myself. And that’s how I got to blogging. I just wanted to share my mistakes so no one would make the same mistakes that I made. Doug Hoyes: So, essentially you got burned and that was the best learning experience for you I guess, and you’d prefer if people didn’t get into that situation again. So, you manage your own money now? You have a financial advisor now? How do you do it now for yourself? Barry Choi: Currently right now I am a do it yourself investor and you’re right, I did get burned and honestly that was the best thing that ever happened to me cause it really opened my eyes to find out how important it is to learn about money yourself. I’m married so I got my spouse into it because again no one knows what’s going to happen to oneself. I could get into a car accident tomorrow. So, I want to make sure my family is prepared if anything happens. So, she knows what’s going on. It’s pretty easy to take care of money yourself. In the future I probably plan on using a financial advisor again myself when my estate gets bigger or when I have kids. But now I’m prepared to know what kind of questions I need to ask that financial advisor. There’s a lot of good ones out there, you just need to find someone who’s willing to work with you and up front with you. Doug Hoyes: Gottcha. So, we like to give practical advice on this show. So, based on what you just said I guess your first piece of practical advice is make sure that you understand what’s going on I guess. You’ve got to do your own research, understand the numbers. Is that the kind of the message that you’re giving? Barry Choi: Yeah, due diligence is important. And I think it’s also important to just not put your blind faith into other people just cause their experts or whatever. What a lot of people don’t realize is that lot of titles that you see in the financial world, financial sales rep, financial planner, there’s no regulation. You can actually put – you and I could put financial planner on our business cards right now and there’s nothing illegal about that whatsoever. Doug Hoyes: I’m going to make a note to get my business cards reprinted then. I’m going to put financial planner on them – yeah you’re right there are specific designations you can get. Doug Hoyes: You know a CFP is an actual real designation. You have to go through a lot of training to get that. I mean I’m a chartered accountant, a CPA. I’ve got a bunch of initials after my name but there are generic terms and financial planner is one of them that anybody can use. Barry Choi: You’re right. I want to know if you’re a CFP a CA. At a minimum you’ve got to have a CSC, which is the Canadian Securities Course. And even that, that’s a pretty basic course. Anyone can really pass that. I still want to know a bit more. I do want to talk to clients that you’ve worked with. I want to know what your strategy plan is. There’s a lot you need to ask your advisor. You shouldn’t just walk into a bank or to a firm and say, yeah you’re good. Doug Hoyes: So, your message is when you’re starting out – and you started out obviously right out of school as a young person. You didn’t have a million dollars I’m assuming. You’re not a multi-millionaire. You didn’t come from some super rich family that gave you a hundred million dollars to get started. You started with your own first dollar and at that level you want to learn yourself then. That’s really the starting point. Barry Choi: When you’re starting off yes you want to learn for yourself and when you’ve got a small portfolio there’s nothing wrong with investing in mutual funds at the beginning cause it’s so small. At the beginning you really want to focus on good savings habits. So, yeah going to the bank and investing in mutual funds, sure it’s a great start. But just understand that it’s not a good long term perspective for yourself. Doug Hoyes: Gottcha and then once you get to the point where you’ve got more money, okay I’ve got a million dollars now, that’s when you bring in the financial advisors I guess is what you’re saying. Barry Choi: Yeah, a million dollars you definitely what you want. But at the starting point, read a book. It’s that simple. If you read one book you will probably be a head of 80 percent of the population. Doug Hoyes: So, give us your top one or two books that if I’m just starting out I should go and pick up and read. Barry Choi: My three top books. My number one is Preet Banerjee, a book that came out this year, Stop Over Thinking Your Money. Preet Banerjee is a big financial expert in Canada. He covers a lot of stuff but it’s a good primer to begin with. Another new book that is very current is called Wealthing Like Rabbits by Robert Brown. He’s not a finance guy but it’s similar to a lot of people, he just learned about money itself and it’s a fun practical introduction to the book for anyone who is interested in finance. He actually compares compound interest to a zombie invasion which is a lot of fun for people. And my third book that I recommend is Millionaire Teacher. I used to recommend The Wealthy Barber but it’s a bit dated. So, the Millionaire Teacher is just an updated one. It talks about index investing and you know a lot of them just cover the same thing, you know spend less than you make, invest at an early age. Doug Hoyes: Cool. And I’m familiar with all three of those books and you’re right, they’re not horribly complex to understand. They’re fairly straightforward. I think that’s a great starting point. So, okay now you wrote a blog post on your moneywehave.com website and people can go to that website and do a search for this. The post was called Guaranteed Ways to Go Broke. So, usually on this show we’re teaching people how to be debt free, well let’s teach them the exact opposite. Let’s teach them the exact wrong things to do. 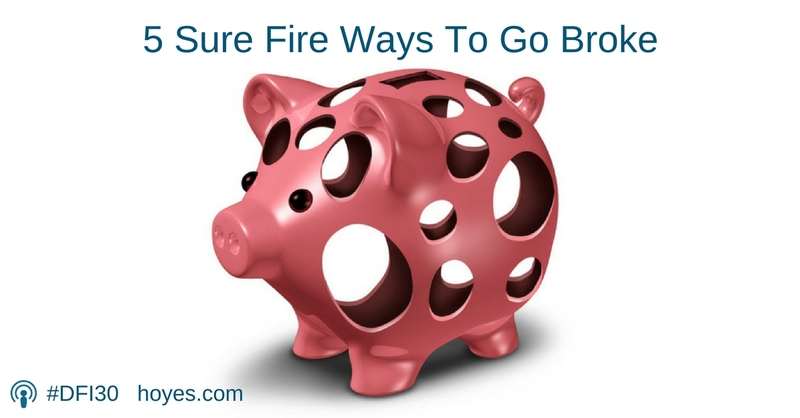 What are the best ways if you really want to go broke? And the number one item on your list was having too many credit cards. Now I would think well, gee the more credit cards I have the better cause my credit scores going to look better, I’m going to earn more points, the more the better, more is always better. You obviously feel the opposite. Tell me why. Barry Choi: Well, you’re right to an extent. Having a lot of credit cards can benefit you, but only if you’re good with credit. As you mentioned it’s good for your credit scores, there’s ways to manage your benefits. With a lot of credit cards they offer cash back, rewards, travel insurance things like that. But the problem with people who have too many credit cards and are bad with their money is they’re constantly making their minimum payments. So, three credit cards for a normal person who pays off their limits every single month is not a big deal. But if you’ve got serious money issues, three, four cards you’re going to run into an endless cycle. And usually what I find is a person who has debt problems, once they max out the cards and they can’t charge any more, their answer to fixing their debt problem is to apply for another credit card. See what I mean? Sounds ridiculous, oh my three cards are maxed out, how am I going to fix this? I’ll get another card. And when you look at credit card interest rates, obviously you’re looking at 20 percent plus. And if the minimum payment is 10 dollars, a lot of people ask, and this sounds ridiculous, how do they keep getting approved? Well, as long as you’re making that minimum payment of 10 dollars, the credit card companies don’t care. If you start missing payments then it’s an issue. So, yeah you’re not necessarily broke but you can definitely see how you’re going to end up there. Doug Hoyes: Yeah, the solution to debt is not more debt. Doug Hoyes: The government of Canada hasn’t figured that out yet. The governments of most countries I guess haven’t figured that out yet. And, no I’m a bankruptcy trustee; I see exactly what you’re saying all the time. In a lot of cases I can’t really be too hard on people for falling into that trap because you’re sitting there, you’re maxed out on one of your credit cards and then you get a letter in the mail saying, hey you’ve been pre-approved for a new credit card. And if you transfer your balance from another one, you don’t have to pay interest and we give you points and it’s all wonderful. And it’s like hey, this is the perfect solution to my problem. So, that’s why I do, I grab the card. But now I’ve gone from one card to two, and then two cards to three, and then three cards to four and that’s when it all kind of snowballs. So, if you had to pick the perfect number of credit cards for people to have, what’s the perfect number? Barry Choi: I don’t know if there’s a perfect number. Even me personally I use four cards. But I probably use two actively. I like one Visa, one Master Card, two different companies, just in case one service isn’t working. Because I’m a big traveller I use a foreign exchange free credit card whenever I travel, strictly for that. I know a lot of people like to churn credit cards for rewards; I can see its advantages. But at the same time I think it’s not really worth your effort. Maybe when you’re younger and you’re really looking for rewards. But as an adult you should be able to manage your credit pretty easily. Doug Hoyes: So, I guess if I had to put words in your mouth then, well maybe two is a good number assuming you’re diligent, responsible. I mean if you’re bad with credit cards then don’t have any. You can’t get into any trouble. But if you are responsible with credit, having two different brands, like you said a Visa and a Master Card or a Visa and an American Express or something. And that way when your bank’s computer system goes down well, you’ve still got some access to money and if you have special circumstances, like you’re a traveller as you mentioned, perhaps you work for a business and have a business credit card, well perhaps that would be a reason to have another one. But I guess if you’ve got 12 of them in your wallet, that’s too many. Barry Choi: Yeah, I think what people should avoid is trying to sign up for every reward just because the company is offering a credit card. There’s so many credit cards with individual businesses that you can get for more rewards. But after a while it’s just not worth it. You know sometimes it is. If you’re constantly shopping at the same grocery store you can get grocery rewards and then use it there, sure I can understand that. But again I’m more concerned about the people who aren’t making their payments on time or making just the minimum payments, then you run into a real big risk there. Doug Hoyes: And that’s where you get into trouble. Fantastic, we’re going to go through a few more ways to go broke if that’s what you want to do. But we’re going to take a quick break first. I’m joined by Barry Choi; this is Debt Free in 30. Doug Hoyes: We’re back on Debt Free in 30. I’m Doug Hoyes and my guest today is Barry Choi, who writes at the moneywehave.come personal finance blog. It’s a great resource to check out. Before we left on the break we were talking about credit cards and the fact that you’ve kind of have to keep the number that you’ve got down because there’s a whole lot of hidden problems with credit cards. And that’s I think the second item on the list of how to go broke. If you really want to go broke here’s how to do it. Barry wrote an article on that recently. So, Barry let’s talk about number two on your list which is ignoring your current situation, not understanding the interest rates that are charged on credit cards. Give me your take on all of that. Barry Choi: Exactly. A lot of people who run into debt issues, they just don’t get what’s going on. They think debt is a way to enjoy life. Or that’s what they’ve been told. So, they don’t mind charging everything to their credit cards and then paying that low monthly. But at that low monthly you’re still paying 20 percent plus interest. If you’re running, let’s just say for argument sakes, ten grand worth of debt, you could be paying that off for 50 years if you’re just making the minimum payment, if not longer. So, when exactly do you plan on getting out of debt? And also with these people, they’re so used to that they don’t even look for solutions. If you’ve got a credit card problem and you want to get serious about your debt, you can roll it into a line of credit or something where the interest rate is much lower, or even something simple, understanding that you should pay off the highest interest rate first, just to reduce your debt. But they don’t really care, that’s the problem. Doug Hoyes: So, you had two key words there, one was plan and the other was solution. And what you’re really advocating then is taking a step back and saying, okay let’s ask the question. How long will it take me to pay off this credit card? And you hit the nail on the head. If you’re making very small payments it could take 50 years because most of the money you’re paying is going towards the high interest rate. So, making a plan and coming up with a solution, those are the two keys to making sure you’re not ignoring your current situation I think is what you’re saying there. So, when it comes to making a plan, how do you advocate doing that? Is it a case of getting a piece of paper and a pencil and writing it out? Is it using a computer spreadsheet? Like what are the elements that you would advice someone to use when they’re trying to come up with a plan to get out of debt. Barry Choi: Just start doing it. [laughter] You know what I mean? The easiest way is you want to set a debt free day. So, you kind of have an idea of your goals. And from there you can kind of work backwards. So, figure out how much debt you have, how much it’s going to take you to pay it off, how much you can actually afford to put towards your debt. And I mentioned the higher interest credit cards first. Obviously that’s the ones you want to pay off first cause those are the ones with the highest interest. But at the same time, if it’s easier for you psychologically to pay off the credit card with the lowest balance, do it. You just want to get into it. Obviously to pay off debt you got to put down some money. So, if you’ve got a lower job you might want to upgrade your skills or pick up some part time work because as long as you’re holding down that debt, you’re never going to catch up. You’re never going to get ahead. So, you really got to work to generate some more income any way you can. If you’re working part-time pick up some more hours, if you’re fulltime maybe apply for a new job with a higher salary. Sometimes it’s really easy for us to get comfortable with what we’re doing. Doug Hoyes: Well, I like the idea of having a goal, setting a debt free date. If I want to be debt free by a week from next Thursday, well it’s going to take a lot of effort. If I want to be debt free in a year, okay do the math. What’s it going to take? If I owe 12,000 even at a zero interest rate, I’ve got to pay back $1,000 a month for a year. That’s what the number means. And your credit card statement shows how much is being applied to principal and interest. It shows how long it will take to pay off your credit card if you just keep making the minimum interest. Do that math and you’ll be able to figure it out. So, one of the other ways to go broke I guess, and the reason we all have all these credit cards, is we are constantly trying to keep up with the Jones’s. If my next door neighbour has a fancy car, I’ve got to have a fancy car. I assume you see that as a pretty significant problem. Barry Choi: It’s a huge problem. This is one of the first things I’ve ever read in personal finance and it still exists and it’s so true. I am fascinated at how many people are trying to keep up with what the neighbours are doing. Doug Hoyes: Yep. So, if you want something, you save the money and then you go out and buy it. Barry Choi: Exactly. There is nothing wrong with enjoying life. I don’t recommend anybody be a money hoarder but like you said you’ve got to budget, you’ve got to save for these things. Credit is just so easy to take advantage of these days, especially with marketing. But who cares what your neighbours are doing? It doesn’t make a difference what they’re doing. And the odds are if they’ve got a big house and a luxury car, they’re not rich. A lot of people buy the illusion of, oh these guys are rich, they’re doing something right, so I’m going to do what they’re doing. It’s not true. They might be one of those people who are making the minimum payments on their credit cards. Doug Hoyes: Well, and that’s a key point. Because one of the riches guys in the world is your best buddy Warren Buffet. I’ve never met him, but I’m sure you being a personal finance guy you have dinner with him every week. And from what I understand he’s lived in the same house for 50 years and it’s not that big a house. And he is not exactly wearing the fanciest suits because I’ve seen the guy on TV. But he is one of the richest guys. So, he’s not worried about keeping up with the Jones’s. He’s just worried about living his life and living it the way he wants to, not the way everyone else is telling him to. But I think you hit the key point, the guy who is driving the fancy car is probably no richer than you. He’s probably just in more debt than you. Barry Choi: And I get it. It’s tough, especially in Canada the way real estate prices are. We’re kind of like, I’m married and it’s almost like it’s expected of you to buy a house regardless of what price. And if you haven’t bought that home, you’re seen as a failure. Well, guess what? I don’t care what other people think about what I’m doing or not doing. I know how my finances work and what I’m interested in. And just because I don’t own a home and I don’t drive a Lexus, I could care less what you think of me. Doug Hoyes: That’s the perfect attitude to have I think. You live your own life. So, let’s hit one more item before we go and get out of time. And that is if you really want to go broke, one of the great ways to do it is to listen to friends or family members who are clueless about money. Tell me why you make that statement. Barry Choi: You know we talked a little bit earlier about how financial planners can have any kind of title and it won’t matter, the same with friends and family. We’ll all of a sudden hear of someone who works at a bank and it’s like well this person works at a bank, they’ve got to know what they’re talking about. Well, just because you’re a teller or a financial sales rep or anyone that works at a bank doesn’t mean you have a clue about personal finance. You might know about how the stock markets are doing because you’re reading the news. But again it doesn’t mean you know what you’re doing about your finances. Look into recent history, stocks have gone down across the world and all of a sudden they went back up. So, who’s right? No one really knows. You’ve got to just find a plan for yourself and stick to it. Doug Hoyes: I think that’s very good advice and a very good way to end it. Ultimately by all means listen to what your family and friends are saying, but don’t automatically blindly follow their advice, do your own research and figure out what makes sense to you. I really appreciate you joining me today Barry. Thanks very much. Doug Hoyes: We’ll be back to wrap it up in Debt Free in 30. Doug Hoyes: Welcome back. It’s time for the 30 second recap of what we discussed today. My guest today was Barry Choi. And after explaining the mistakes he made as a new investor just starting out, we talked about what you can do if you want to go broke. Barry’s top tips for going broke are having too many credit cards, ignoring your current situation and trying to keep up with the Joneses. He also mentioned getting bad advice from family and friends, buying expensive presents and buying too much house. So, what’s my take on what Barry had to say? Obviously Barry is not actually giving advice on how to go broke. He’s trying to illustrate the mistakes people make so you can avoid them yourself and I agree with all of his points. Barry’s message is very similar to the message of many of my previous guests on this show and that quite simply is this: You’re the boss, you have to do your own research and think for yourself. Don’t take advice from someone who doesn’t have the expertise to advise you and don’t try and live your life to keep up with your neighbours or to impress family and friends. It’s your life, live it the way you want, not to live up to the way anyone else’s expectations. I fully agree. That’s our show for today. This show is on the radio every week and also available on our website and on iTunes. So, please to go hoyes.com for a full list of participating radio stations and details on how you can download the show to listen on your iPod or smartphone. Full show notes are available on our website and I’d love to hear your comments which you can leave right on our website at hoyes.com. Thanks for listening, until next week I’m Doug Hoyes and that was Debt Free in 30. Announcer: Thanks for listening. That was Debt Free in 30. Thanks for listening to the radio broadcast segment of Debt Free in 30, where every week your host Doug Hoyes talks to experts about debt, money and personal finance. Please stay tuned for the podcast only bonus content starting now on Debt Free in 30. 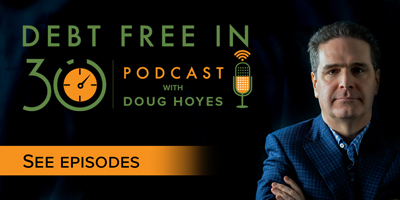 Doug Hoyes: We’re back on the podcast only segment of Debt Free in 30. We were having a great chat with Barry Choi but on the radio portion of this show we ran out of time. So, Barry has agreed to stick around for a few more minutes and talk about two more items that were on his list of guaranteed ways to go broke. We talked about keeping up with the Joneses, trying to make sure you’ve got the same car, house that the next guy on the street has. That extends into another area I think and that is during the holiday season, the Christmas season, during birthday season, whatever, we’re always trying to buy the most expensive presents. That gets you into trouble I assume Barry, is that right? Barry Choi: Yeah, it’s crazy how much people will spend on presents especially when they don’t have money. Like you said it’s keeping up with the Joneses. You want to appear rich by buying your parents, your friends, oh here’s an iPad, here’s a laptop, here’s a new gadget. Look at me; I’m rich because I’m buying you this. But obviously it’s just going to make you broke and you’re just going to go into more debt because of it. Doug Hoyes: And so the message there is the same as your message on all the other topics. By all means buy fancy presents for whoever you want but do it with cash not with credit I assume. Barry Choi: Cash is always great. And obviously you know Christmas is going to come at the same day every single year, same with birthdays. So, you can budget towards it. I remember when I first started getting into finance. You don’t really think about it. I started writing things down and wow I was spending a lot on presents and not that I had a problem with it but it was just a lot. And when you get older other people have priorities too and family. So, when you buy someone a present they feel obligated too but I’m sure they were thinking the same thing, wow this is a lot of money we’re spending. And it’s easy to just get someone a gift card or something smaller or just share a meal with them where everyone pays for themselves. It’s more about spending time with each other during the holidays or birthdays, as opposed to the gift that you’re getting someone. Doug Hoyes: Yeah, I think that’s the key point and you’re right. Christmas is December 25th. And you can mark it on your calendars because you’re right. It’s the same day ever year. I’m pretty sure your spouse’s birthday is the same day every year. Unless I guess they were born on that leap year day in February. But otherwise it’s the same day every year and yet amazingly enough it sneaks up on us, Christmas sneaks up on us, we haven’t put the money away in advance. We haven’t saved for it and then in January and February my phone is ringing off the hook because people have too much in credit card debt that they hadn’t anticipated. Barry Choi: Yeah, I remember a recent episode of The Simpsons. I think it was last season. It was a Christmas special and Homer said to Marge you know, Christmas isn’t the same until you open your credit card bill in January. Doug Hoyes: I remember that episode. We should do a Simpsons episode one time. Famous quotes from Homer. But yeah it’s true and that’s unfortunately the mentality that people get into. Okay, I spent a lot of money on my credit card at Christmas and then I spend the first six months of the year paying it off. What you’re advocating is to flip it around, you start saving for it and then you’ve got the cash to spend. It makes it pretty simple I think. Doug Hoyes: So, one final topic then. If you want to go broke go out and buy too much house. What do you mean too much house? Barry Choi: Well, we talked earlier how in Canada, they just have a stigma if you’re not a homeowner then you failed in life or whatever. There are still a lot, at least in certain cities of Canada, bidding wars for homes, people will go out of their price range. They start at a low range, a reasonable range that they can afford. And as they shop they realize that the house that they want costs more so they go pretty high. So, if you’ve budged 500 grand for your home and then you buy a house for 600 grand, it’s not one fifth more you’re spending, you know. A bigger house means bigger expenses. You got more windows and doors that you got to replace. There’s more maintenance, more utilities, there’s more taxes. There’s so many other things that people don’t factor in when they upgrade their home or buy a bigger home. It literally could make you bankrupt. And obviously interest rates for mortgages are really cheap right now. How many people are thinking about the more normal interest rates? My parents, I think were at one time were paying 20 percent. I think if you put up 20 percent now, not that it would happen they would go bankrupt instantly. Doug Hoyes: No, you’re right I believe the first house I bought my mortgage interest rate was 18 percent. So, it has happened in the past and of course that same house today. I don’t know what the numbers were. Let’s say it cost $200,000 when the interest rates were 18 percent. Well, when interest rates are a lot closer to zero, that same house is $400,000. So, your payments move up and down. So, are you an advocate of renting for as long as you can to build up a down payment or how do you keep yourself from buying too much house? Barry Choi: I think the stigma is that renting, you’re paying someone else’s mortgage. But at the same time I don’t think there is anything wrong with renting. Some people say you should invest while you’re renting but at the same time if you plan on buying a house, investing is not a good idea. Again, it comes down to knowing your own personal situation with your finances. What you decide to do with you and your family is completely up to you. So, if you want to rent, yeah definitely save up for a down payment. Right now you can get a mortgage as long as you have five percent down. But obviously if you have 20 percent down you avoid CHMC. So, that’s the ideal range you want, 20 percent. Doug Hoyes: I agree, the bigger the down payment the better. And I agree with you, I don’t think there’s anything wrong with renting at all. And I’ve had a number of people on this show and we’ve talked about this issue. 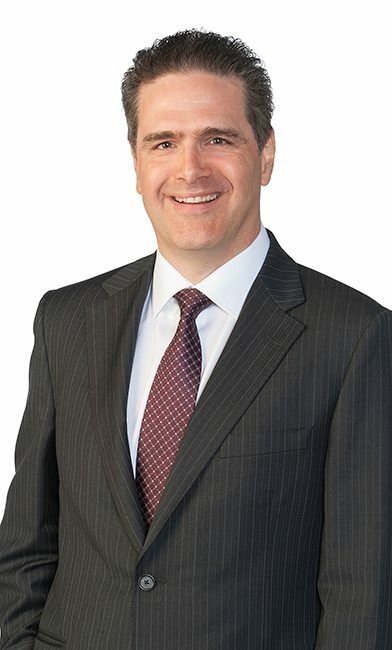 I know when Jonathon Chevreau was on, he made the comment that a paid for house is the bedrock of your retirement plan. Well, that does make sense I guess. If I own my house when I retire, even though my income has dropped because I’m not working, I don’t have to pay mortgage, I don’t have to pay rent, that all makes sense. But I think your point is valid, that if I go out and I can afford a $400,000 house but I manage to buy a $600,000 house, I’m going to be house rich and cash poor. I’m going to have problems and that’s just not a good thing. Barry Choi: Yeah, being house rich is a huge problem because these people have spent all of their money on this home then what happens when you have kids? Have you looked at the cost of child care or just raising a child? What about your retirement savings? What if you want to travel? What if you want to do anything in life? It becomes significantly more difficult when you’ve got a huge mortgage. And a lot of people forget, it’s just a huge expense, like you’re not going to be able to do anything unless you budget wise. Doug Hoyes: Yeah, if you would ever like to go out for dinner you better factor that into the budget because if all your money’s going to the mortgage, the property taxes, the repairs and maintenance, the repairs and utilities and so on then you got a problem. Barry Choi: And I do agree with Jonathon, right, like it’s a valid point. But at the same time renting doesn’t mean its forever. It’s just a personal decision that you and your family makes. Doug Hoyes: Right which goes back to what you said earlier that you need to have a goal, you need to have a plan. So, if my plan is I’d like to own a house, okay that doesn’t have to be tomorrow, perhaps that’s a year, two years, five years from now when I’ve saved up a 20 or a 25 percent down payment. And then at that point it will make perfect financial sense. That’s really what you’re advocating. Excellent, well, that is a great place to end it there Barry. I appreciate you sticking around for this bonus segment and once again your website is moneywe have.com. Is that right? Doug Hoyes: Great, thanks for being on the show Barry. Barry Choi: Thank you Doug. Doug Hoyes: Thank you. You’ve been listening to Debt Free in 30. Announcer: Thanks for listening to the podcast only segment of Debt Free in 30. For more information on today’s show please go to Hoyes.com and type the word podcast into the search box for more information of every episode of Debt Free in 30. Until next week this was Debt Free in 30.